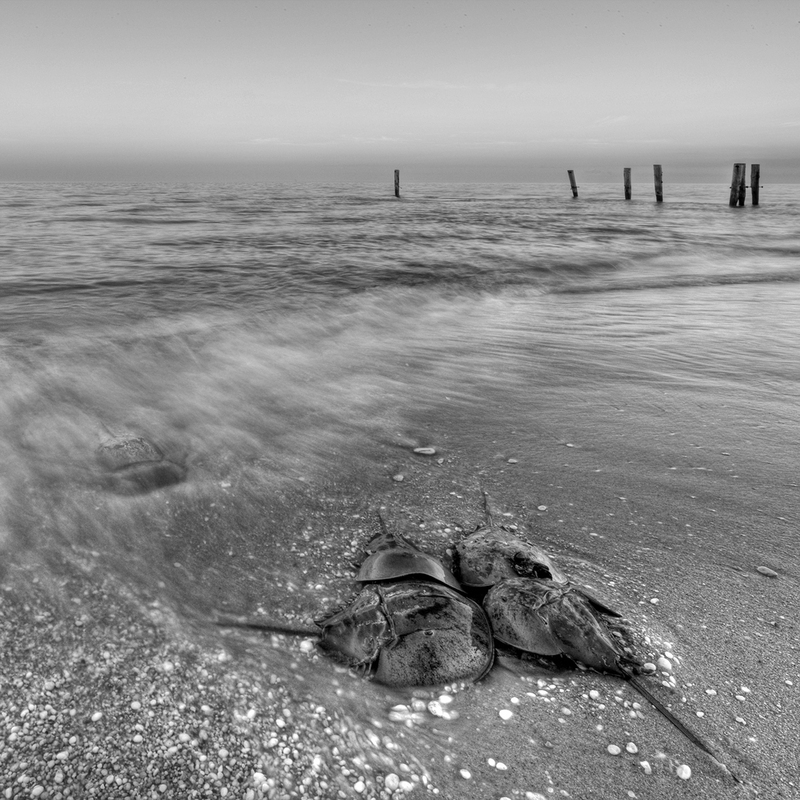 During the course of this project, I visited the Delaware Bay along the southern tip of New Jersey to observe and photograph the annual spring mating ritual of Limulus polyphemus, the Atlantic horseshoe crab. The morphology and behavior of this so-called "living fossil" have not changed for millennia. 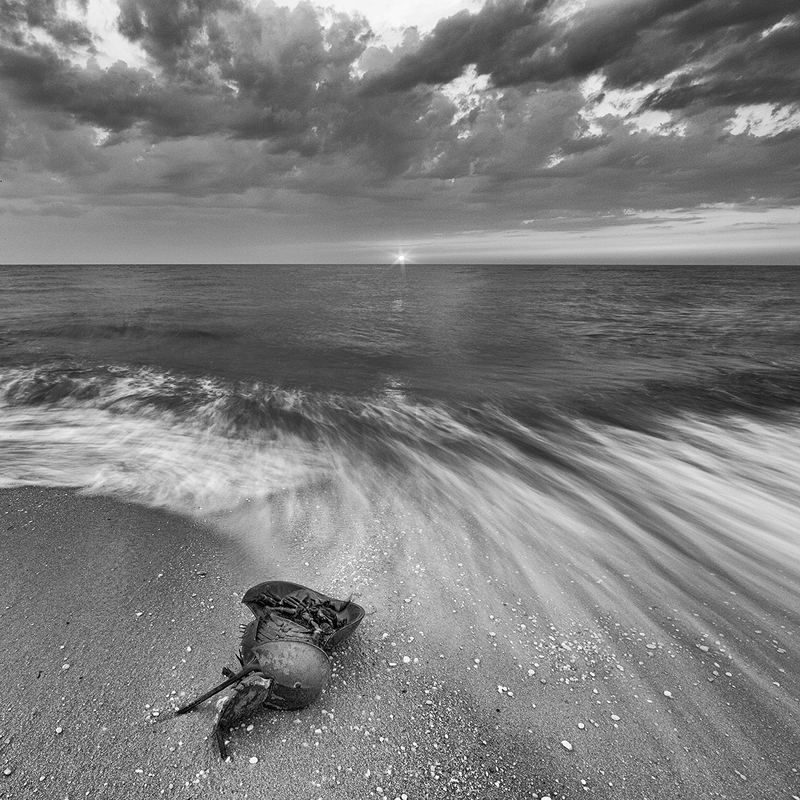 Their fierce, instinctive, and perilous drive to come ashore is reminiscent of the compelling human urge to seek the water's edge for recreation, commercial gain, and spiritual sustenance.